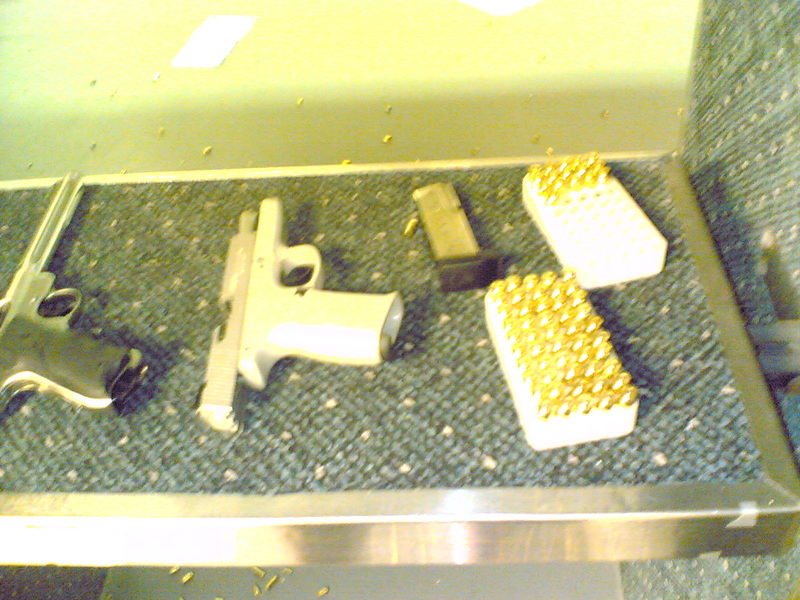 We went back to the range on Saturday afternoon. We've been going out to shoot by the canals, but have been hearing from other people that the sherrifs are starting to run people off of there. So we went to the local range. Last year the range started requiring people to use only range ammo (which you have to buy from them). So I can't use a box of Winchester 9mm that I buy at Walmart for $6. Instead I have to pay them $12 for a box of reloads. To justify this they have a couple blown-up revolvers on display. Of course, the revolvers were blown up by someone shooting hot handloads, but that's beside the point. 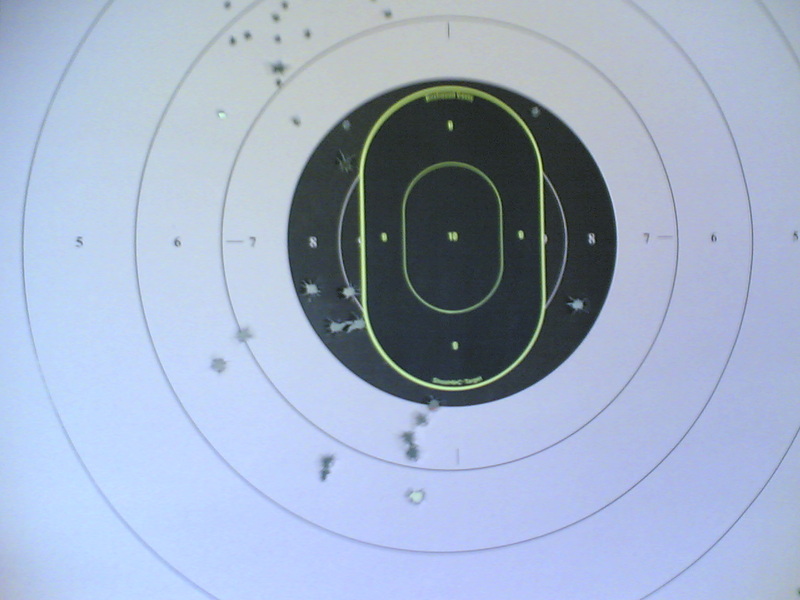 This was my first time firing Rob's new Ruger .22 pistol. It was very smooth. 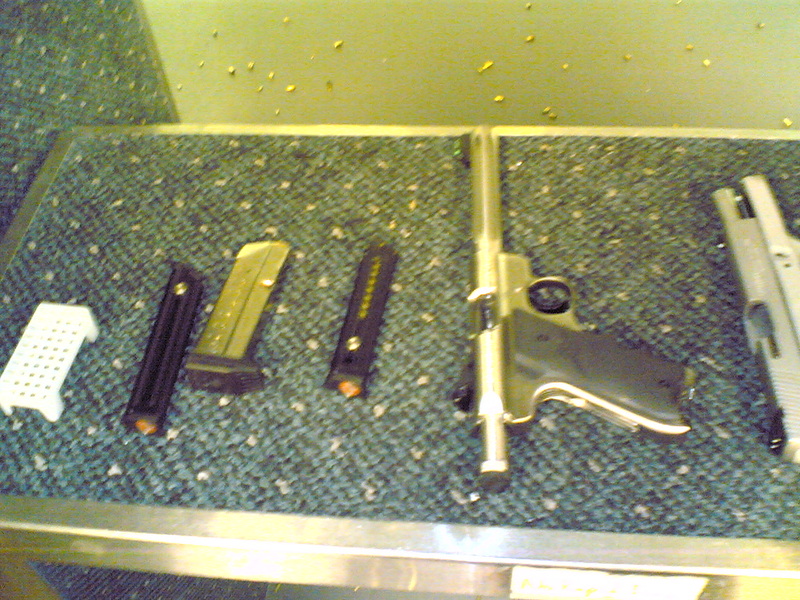 After shooting the 9 mm, the .22 felt as though it had almost no recoil. And it was pretty accurate. 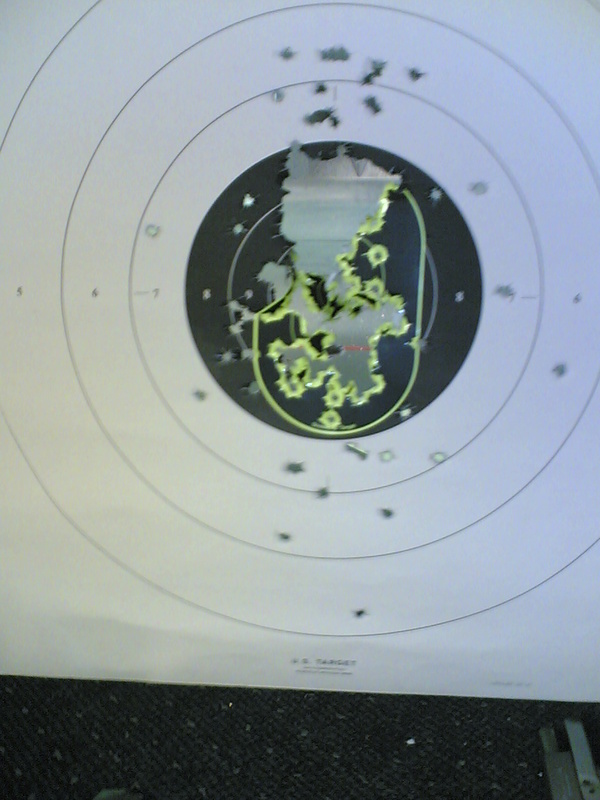 Mostly, though, I shot my S&W Sigma 9 mm. I put around 200 rounds through it. Rob had these cool new stick-on targets. They have some kind of coating on them that pops off when you hit them, so it's really obvious when you have a hit. 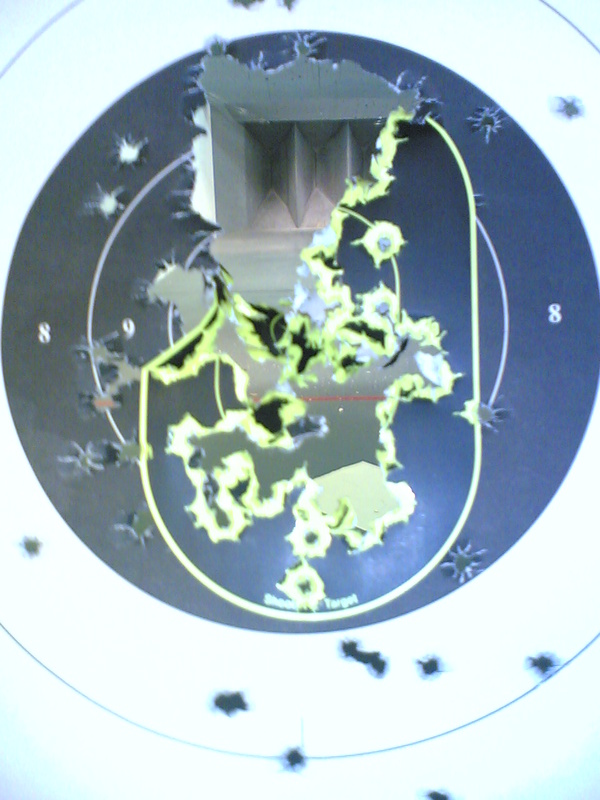 Here's a before-and-after of my target after I blazed away at it at 15 yards. 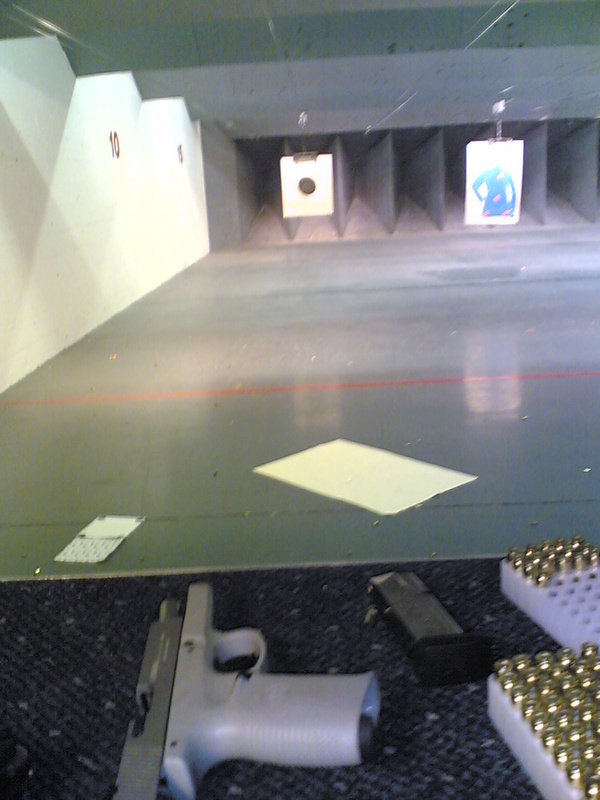 That's the other thing I don't like about indoor ranges: they're so short. And you can't shoot at washing machines there, either.